I’ve been running regularly for more than 18 years, and one of my earliest training venues was the Sammamish River Trail. 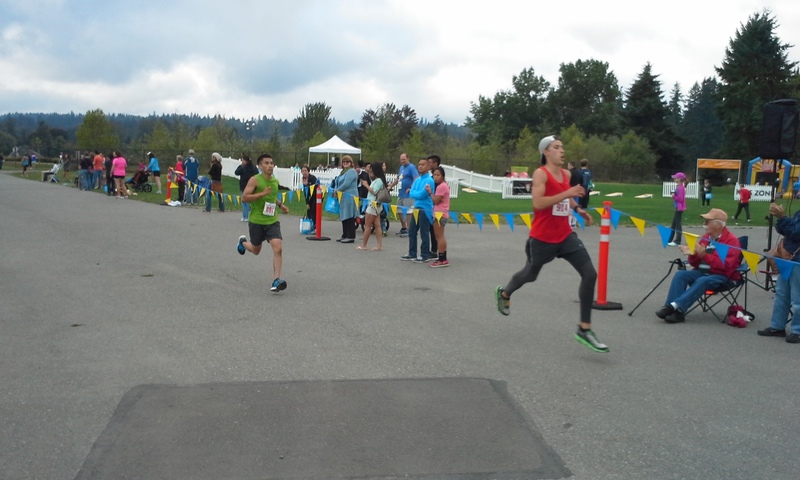 I got the chance to do another race on this flat, popular former railroad bed on Labor Day 2015, when I ran the Redmond Town Center Family 4-Mile Run, held in conjunction with the Overlake Medical Center Labor Day Half Marathon. I can remember logging miles on this trail that emanates at Marymoor Park as far back as 1997, when I took my two daughters out to ride bikes while I ran. The trail used to have every mile of it marked; they recently took those mileposts down for some reason. I remember early on working my way out to miles 3 and 4, then 5, then 7 (the Wilmot Gateway Park in Woodinville), and finally to past mile 10 in Bothell, where the trail officially ends and becomes the Burke-Gilman Trail. I’ve run 21 marathons since 2003, and all have included at least one 20-mile training run on this trail. But these days, I also walk the Sammamish River Trail at least once a week too. It is located just a block to the east of my workplace, Allytics in Redmond. Walking or running on the trail means always hugging the right side, so you don’t get mowed down by fast-moving bicyclists as they speed by you. Like I said, it’s a popular trail, and also a commuter trail for people who bicycle to work at Microsoft and other nearby companies. Yes, I also ride the trail myself, and enjoy the bike speeds you can achieve when the trail isn’t crowded. Last Monday’s run started and ended at Marymoor Park’s east end. 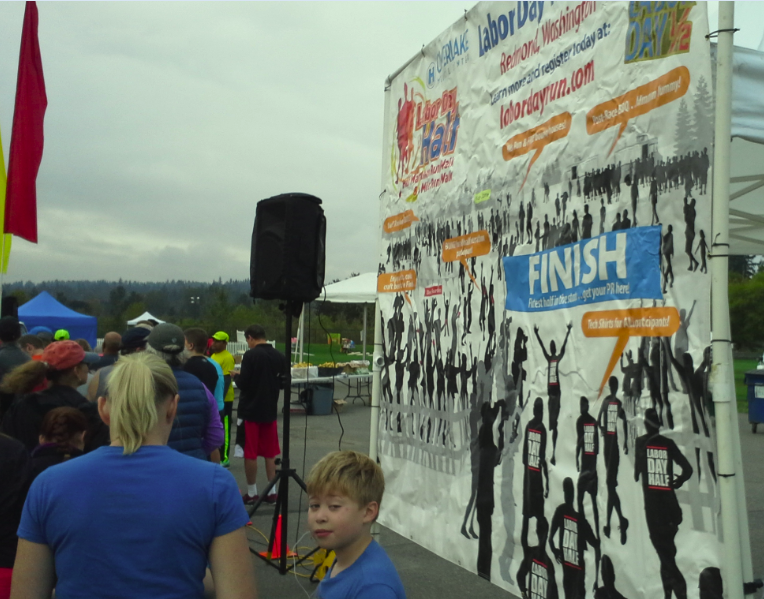 The course headed from there westward to West Lake Sammamish Parkway, then north to Redmond Town Center. After paralleling the Sammamish River Trail for about two miles, the course looped onto it at Town Center for the final stretch back to the park. Road into Woodinville. They then got on the Sammamish River Trail around Mile 7, and ran the remainder on the trail back to the park. I had considered running the half-marathon myself, but again didn’t feel ready for the longer distance. As it was, I ran the 4-mile run in 45:50, an 11:27 per mile pace. This was much better than the 50:14 (12:34 per mile) that I ran back in 2013, the only other time I have done this event or distance. Full results are here. It was my 10th race of the year, and 185th overall, and I was satisfied. Also, I should add that I warmed up a bit more than I often do, so that I wouldn’t have as much of a limp in my stride as I started out. This was mostly in reaction to the run late last month, when a runner asked me if I needed her knee brace. I still limp a bit until my bad left ankle warms up. I found it interesting that the half-marathon had 835 finishers and the 4-mile run only 237 finishers. Clearly, the half-marathon distance is the draw here. For five straight years (2003-07), I ran the now-defunct Super Jock ‘n’ Jill Half-Marathon. It started and ended at Redhook Ale Brewery in Woodinville and included stretches on the trail and through the University of Washington-Bothell. That race was discontinued sometime after 2010, around when I was having my ankle troubles and couldn’t do it anyway. A few years later, it was replaced by this current event, sponsored by Overlake Medical Center and Redmond Town Center. While the newer race is not highly festive or filled with people in crazy running outfits or costumes, it gives serious fitness enthusiasts something to do on Labor Day. That works for me. Congrats to my former physical therapist, Shelly Hack, for her strong 14th-place finish in the half-marathon. 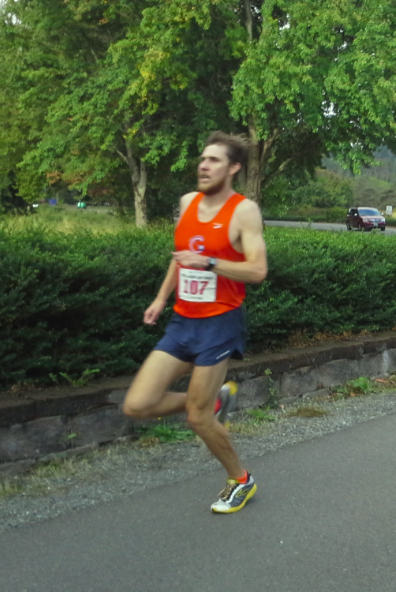 The overall race winner, Seth Bridges, had an exceptional time of 1:09:14, a 5:17 per mile pace. Nick Merrill won the 4-mile run in 21:17, a 5:19 per mile pace. 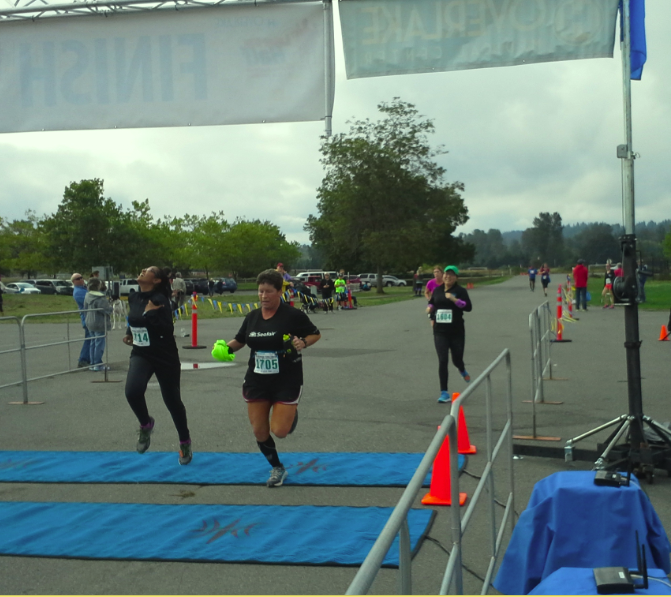 For me, I do plan to run a half-marathon again this year, perhaps next month at the Snohomish River Run on Oct. 11. Between now and then, I am going to enjoy a week of vacation, and am not sure if I will do another race or organized bike event in September. Oh, but I will be training. 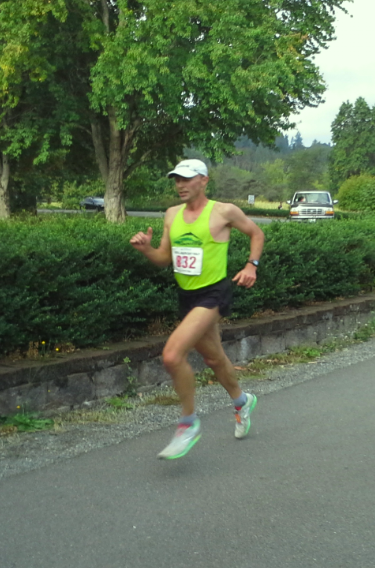 This entry was posted in Marathons, Marymoor Park, Running, Sammamish River Trail and tagged ankle surgery, Burke-Gilman Trail, Half-Marathons, Marathons, Marymoor Park, Overlake Medical Center, Running, Sammamish River Trail, Uli Steidl. Bookmark the permalink.